Tobania is your technology business partner at the forefront of today’s digital transformation. They provide business value with a scalable offering, supported by experienced account and delivery managers who guarantee effective solutions and customer satisfaction. 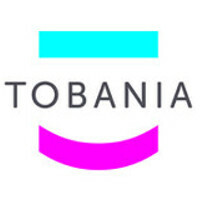 Tobania is a full IT system integrator specializing in the digitization of companies and organizations. As a total provider of front-end enterprise solutions, Tobania’s services include the construction and implementation of platform solutions, the development of customized solutions, and the integration of complex IT applications. In addition to analysis, development and testing, Tobania supplies specific software solutions for web development and staff planning, among others. As a one-stop-shop IT partner, it also provides supplementary hybrid infrastructure, security and management solutions, as well as all necessary support. Tobania is able to deliver all of these services and solutions by collaborating with more than 750 IT specialists and consultants. It’s goal is to achieve a turnover of 100 million euro in 2018.